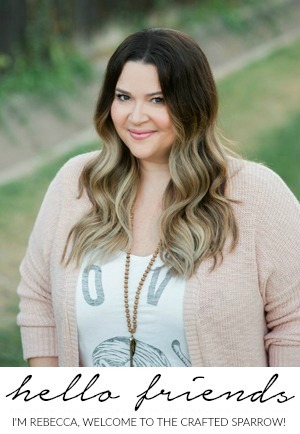 If you have been a reader of The Crafted Sparrow for any length of time then you know I’m a huge fan of using what I already have on hand to accessorize my home. 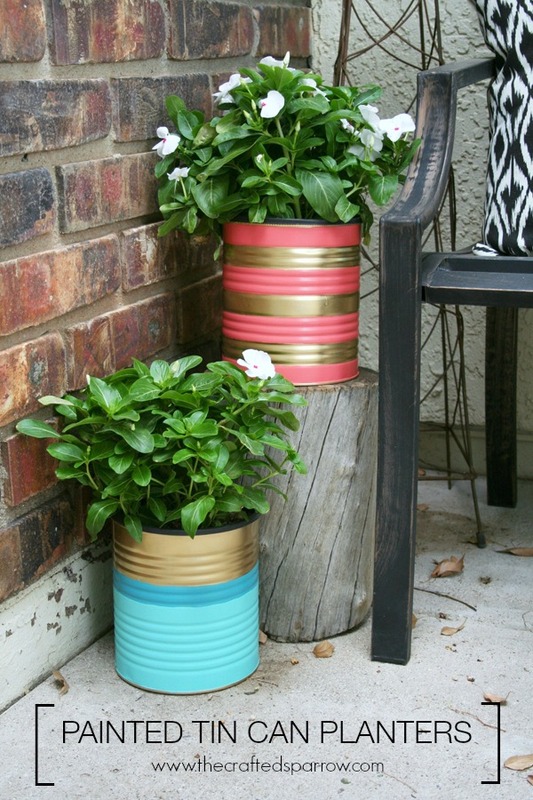 These Painted Tin Can Pots are the perfect example! 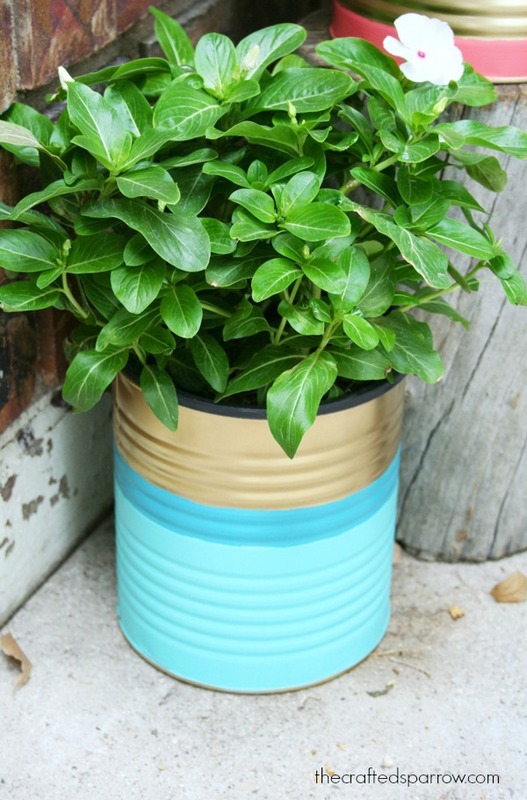 My hubby has been bringing home so many of these gallon sized tin cans he recycles from his restaurant when they throw them away. He has taken up gardening and is planting things left and right lately. 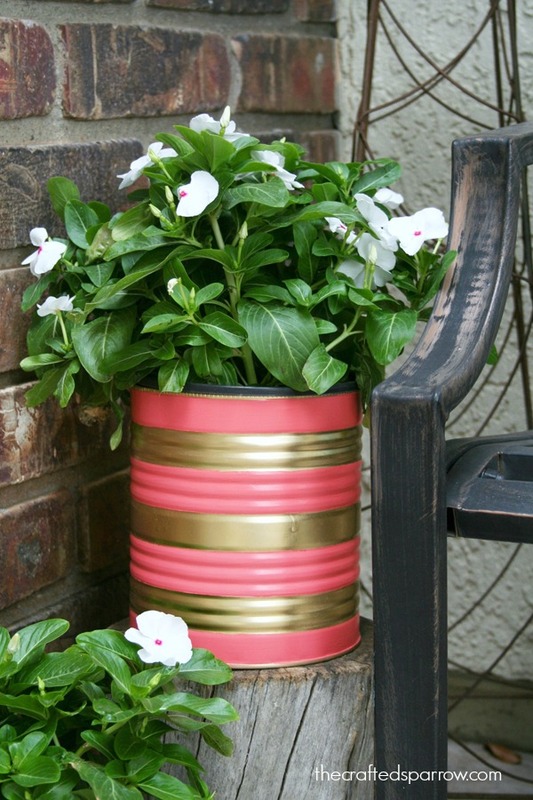 I love the idea of re-using them, but I just couldn’t look at the boring tin can anymore. 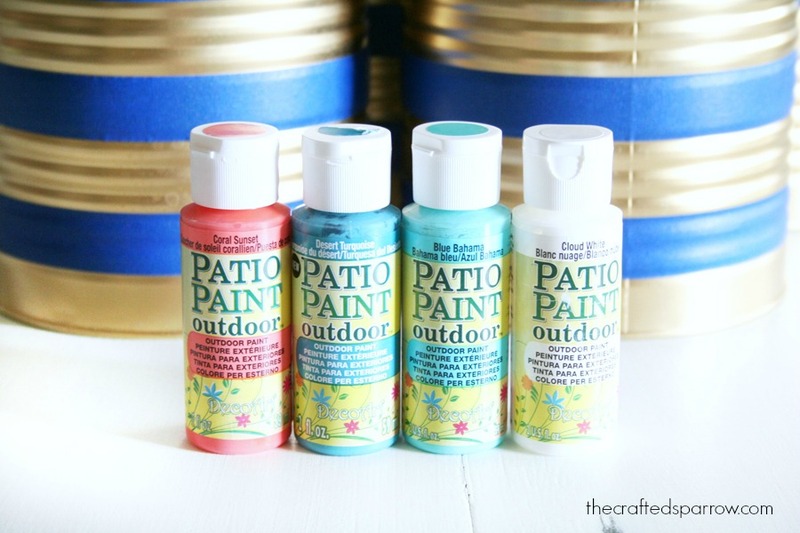 This is where my DecoArt Patio Paints came in to action. 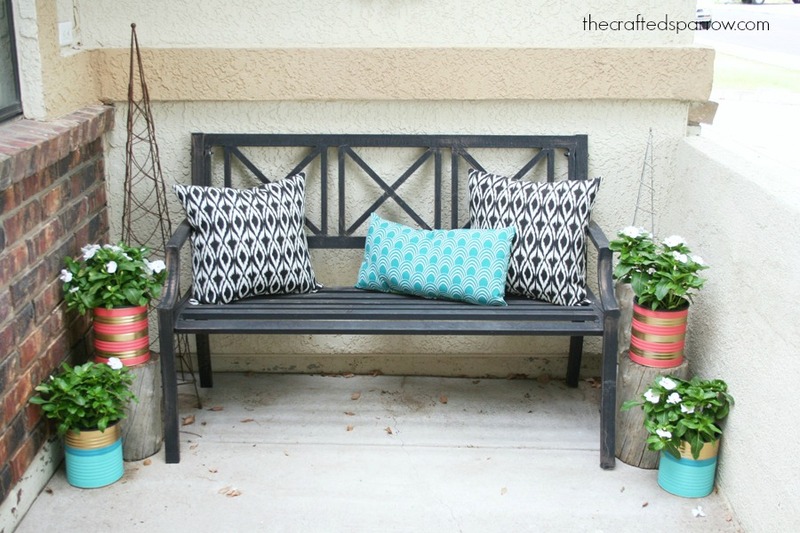 I decided to make some outdoor planters to spruce up our front porch, and a couple for in the house to freshen up my decor. For this project I stuck with bright summer colors that already worked with some of our outdoor decor. 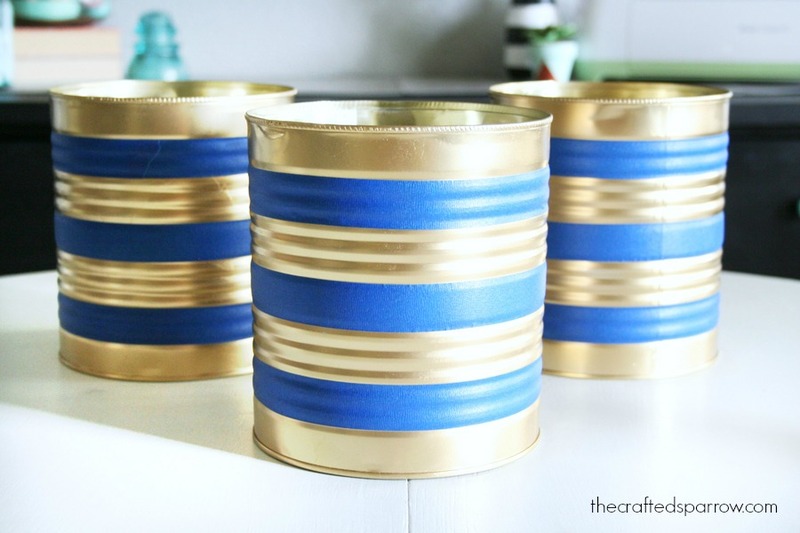 First thing I did was spray paint all the tin cans gold, I thought the gold would be fun mixed with the bright summer colors. After the paint was dry I used some painters tape to create stripes on my cans. 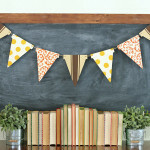 You can do any design you want: polka dots, stripes, color blocked, or a different pattern. 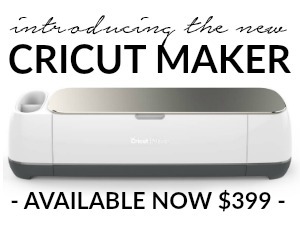 Using your foam brush apply 2 – 3 coats of each color where you want it. Peel away the painters tape before it’s completely dry so you don’t accidentally peel up paint. That’s it, your set to plant. You can drill drain holes in the bottom if they will be used for outdoor planting like these ones. 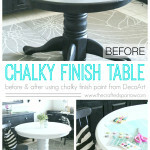 This was such a great way to add a pop of color to our front porch for free since I already had the paint on hand. 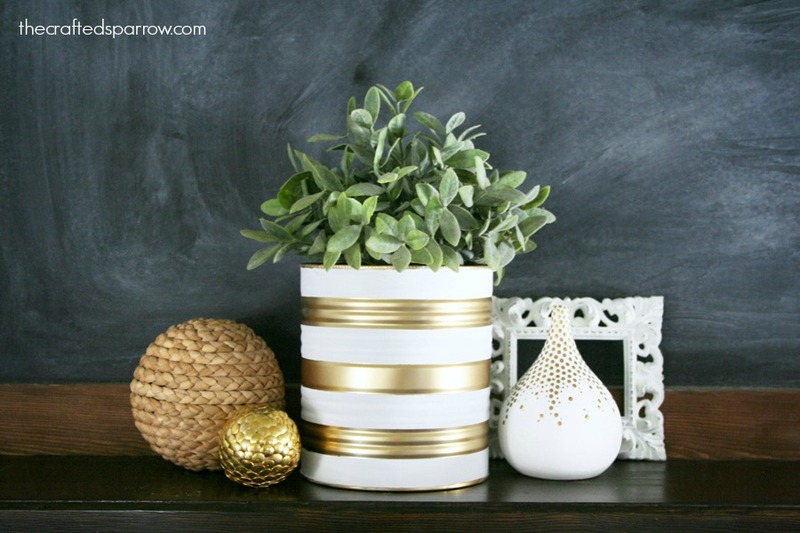 We want to spruce this space up soon but for now these cute planters add character and the color I wanted. Like I said I also painted a couple for inside the house to use with my decor. I love how they look with my favorite Ikea greenery. 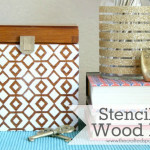 It’s such a great way to add some character to a space on a budget. Did you put holes in the bottom so water could drain? 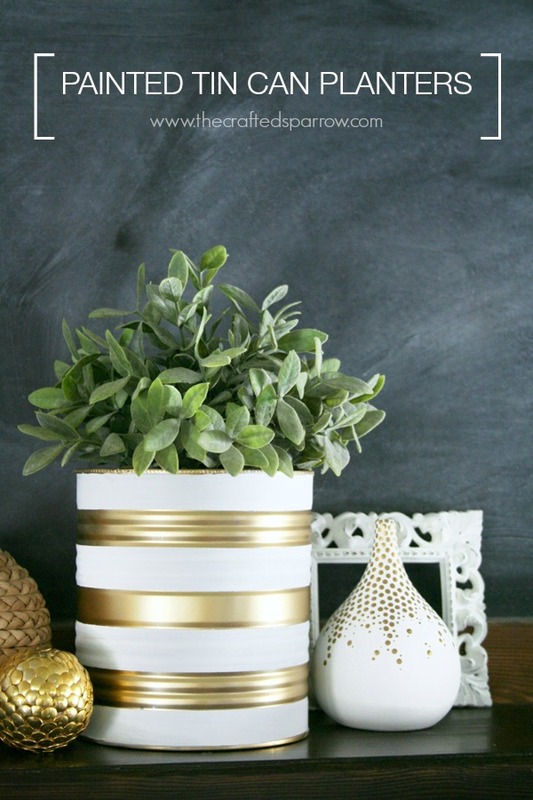 This is perfect for all the coffee tins I have laying around! The white and gold one I love! These are beautiful! Perfect on your porch. Thanks friend! Good seeing you last week even if it was only for a few minutes. 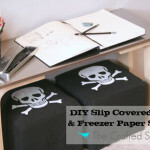 I love this idea…these are soooo super cute! Thanks for sharing. Thank you Tisa. Have a great week. Thanks Emily! Have a super week! Those look really attractive. I’m calling my friend who owns a restaurant tonight! Thank you Bonnie! Have a great weekend. Love these! Didn’t you have to line them before you used them as a planter? Just curious as I thought I’d have to line it so it wouldn’t rust out from the bottom? Hi Emily. Well to be completely honest I never gave the rust option much thought. I have quiet the black thumb generally when it comes to gardening. For the outdoor cans though some people have suggested using a plastic liner. Mine have developed some rust on the outside bottoms of the cans which I actually like the look of so it doesn’t bother me. And my plants seem to be doing fine in them. I have currently planted elephant bush succulents in them and they are holding up really well. 🙂 Have a super weekend. Thanks so much Zandra! You are so sweet. The white and gold combo is definitely a favorite of mine right now. Have a super weekend. These are great! 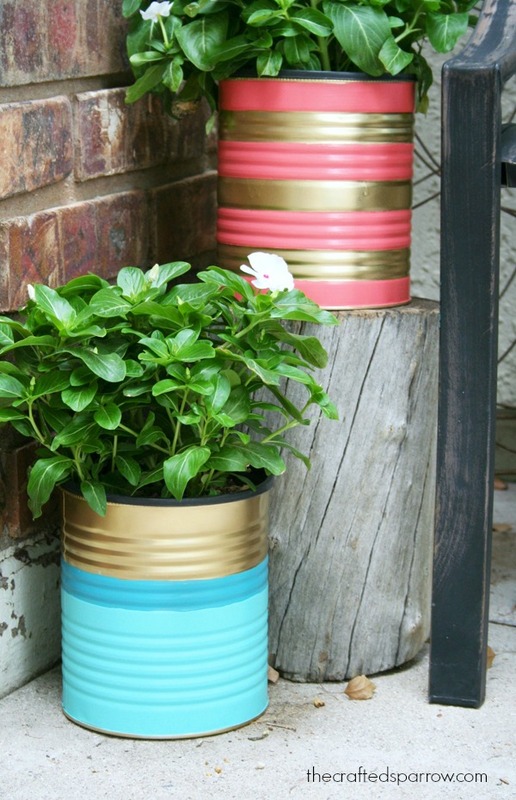 They add some great color to your porch. Thanks for sharing. Thank you Kristi! 🙂 Have a super weekend. I absolutely love these! Great idea! 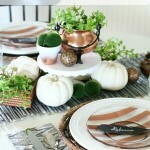 I love them so much, I am including them in my Fabulous Finds Friday this week! Thanks Tara! So sweet of you. Have a great week. when you apply the painter’s tape, are you preserving the gold under it? and then spraying what is not covered? then is the result…where you placed the painter’s tape and later removed, leave you with gold that you covered? i am not getting the procedure. Thanks so much for sharing this idea. It is wonderful. I can envision doing this with smaller cans too. I was going going to try to cover the 14-16 oz size cans in fabric – to use as pencil and pen holders in my bedroom. But, I like your idea so much better and it is really striking and I am sure much easier than what I was going to do! Thanks Trudy. You will love them! Awesome Idea! I absolutely admire the way that you respect everyone’s opinion and respond to each comment, no exceptions. 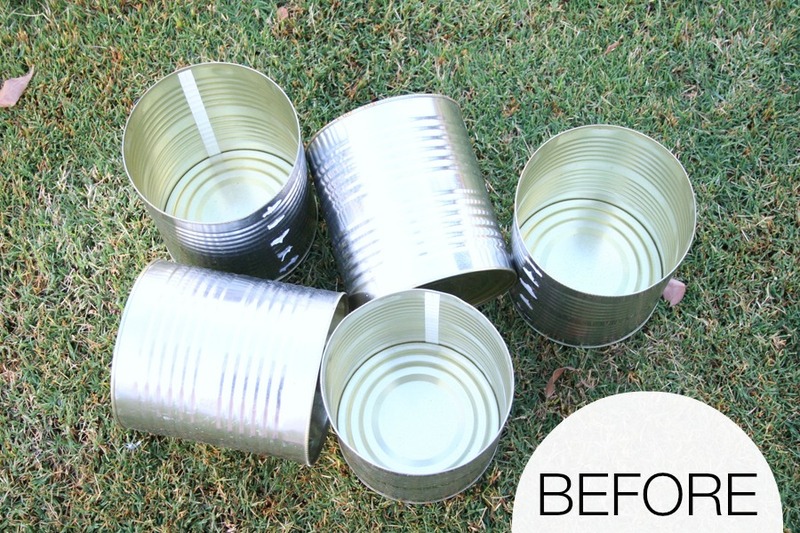 Did you have to prime the tins before you spray painted them?